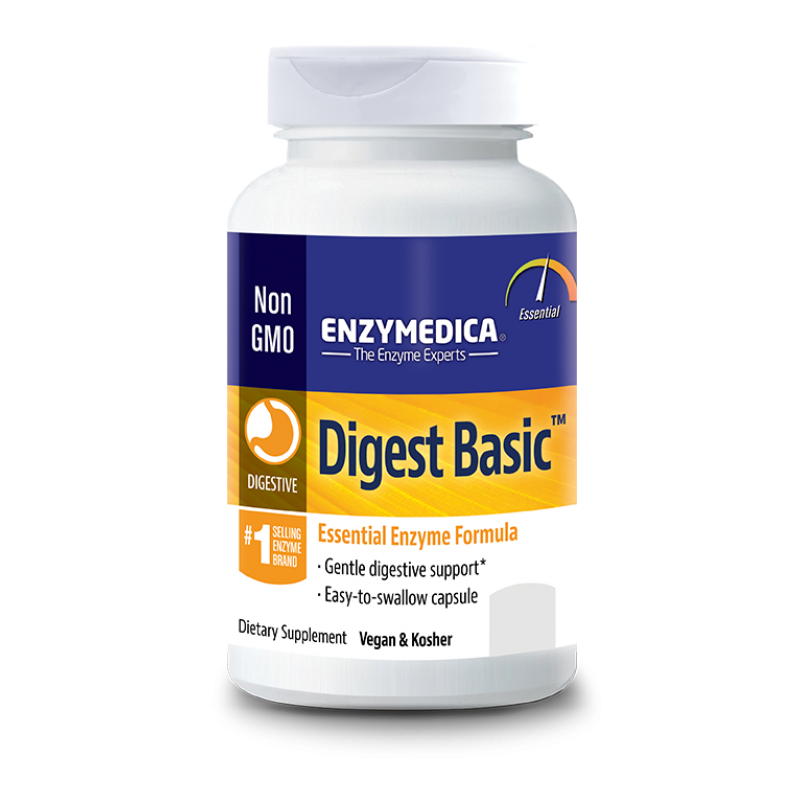 Enzymedica Digest Basic is a gentle formula that breaks down carbohydrates, fats, fiber and protein. The enzymes included in Digest Basic support optimal digestion by helping the body absorb nutrients and convert food into energy. Digestive well-being improves concentration and increases vitality. 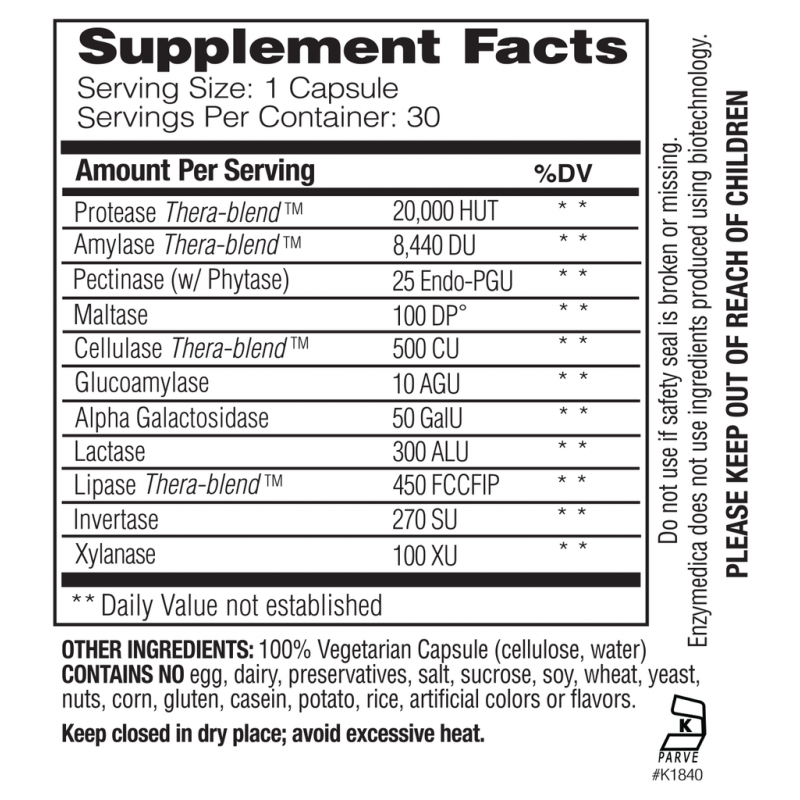 Recommended Use: 1 capsule with each meal. More may be taken as needed. For higher enzyme potency, Enzymedica’s Digest or Digest Gold may be helpful.